The dress is brand new - never been worn. It is an off-white color. The bottom of the dress is tool. It has three layers. Super comfortable and easy to move in. The back is open as you can see in the pictures and zips to close. It has straps. 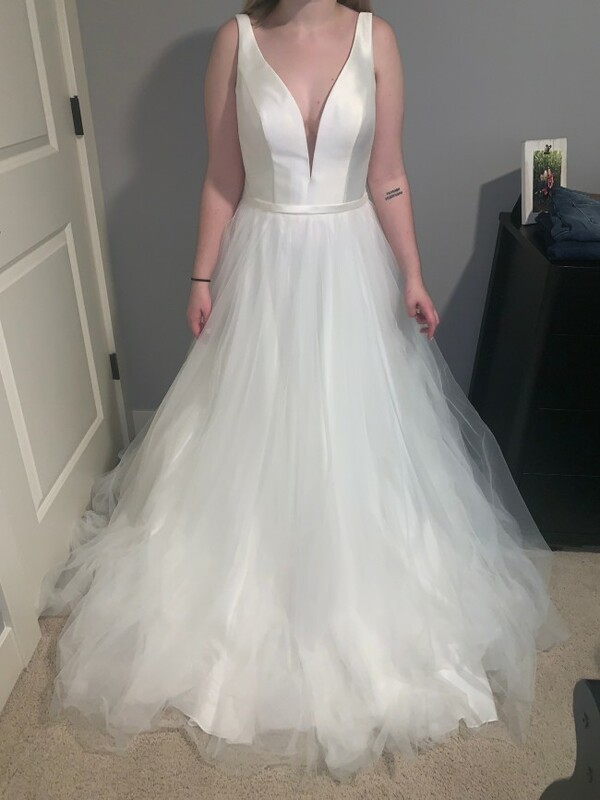 The dress is a size 12. I was going to have to get it altered to fit me but since I never got to wear it, it is exactly how I bought it. If you have questions let me know!